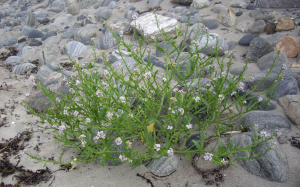 Observation - Sea Rocket - UK and Ireland. Description: A few plants growing at the at the top of Scourie's sandy beach. A few plants growing at the at the top of Scourie's sandy beach.